One of the great things about a digital camera is that you can store a lot of photos on a single memory card. Although having such a large and convenient storage space is great, many people fail to download their photos regularly. This bout of procrastination can become a serious problem if you ever experience a failure with a memory card. While you may have lost all of your photos, you have a hope of recovering them. Don't panic if your memory card doesn't appear to be working. Thinking and acting carefully and calmly could be the difference between recovering your photos and losing them. Remove the memory card from the camera and inspect the metal contacts. Make sure they're clean. If you see a smudge, you can very gently clean them with a clean, dry cloth before trying the memory card again. Inspect the card for any cracks, scratches on the metal contacts or any similar damage. If you find significant damage, you probably will need to take or send the card to a camera repair center or a computer repair center. If the card has no obvious physical problems, try placing the memory card in another card reader, maybe one attached to your computer. 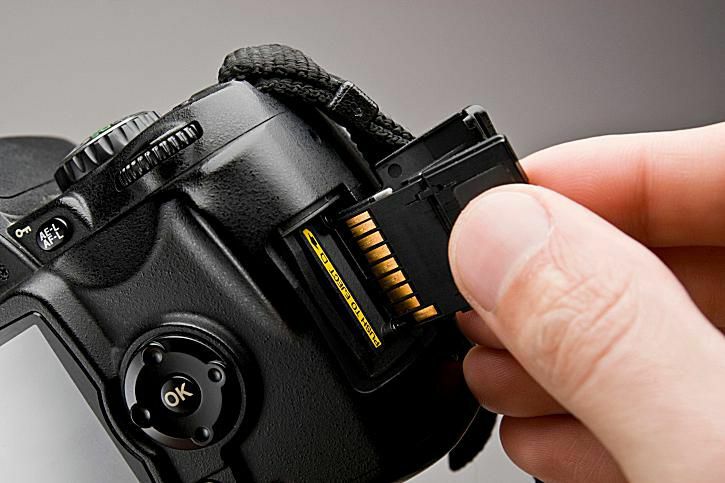 It's possible that the problem lies with your camera, and not the memory card. Alternatively, it's possible that the camera's firmware or software has developed a glitch that prevents it from reading the memory card. Try placing the card back in the camera and connect the camera to a computer and uploading the photos. It's possible that your camera may not be able to display the photos on the memory card, but the camera can still upload the photos. If the memory card seems to work okay until the middle of the upload process, the problem may lie with a particular photo instead of the memory card. Try uploading the photos a few at a time to find the photo that may have the glitch. The corrupted photo can then be deleted, and you then can upload the remainder of the photos. You may be able to run memory card recovery software through your computer. Several programs are available; check with the memory card's manufacturer for help. As a last resort, the card may need to be reformatted, but remember that any photos stored on the card will be erased during a reformat. Finally, once you have recovered the photos from a memory card that has malfunctioned in the past, strongly consider throwing it away and buying a new card. Most memory cards are inexpensive these days. Your photos are too valuable to risk them to a balky memory card.